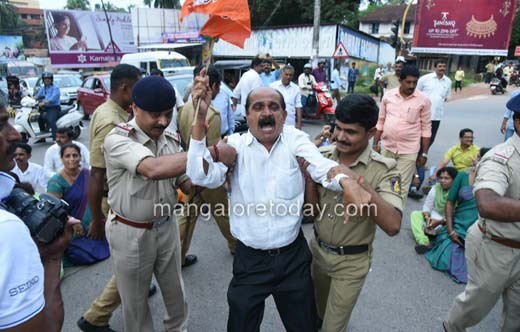 Mangaluru, Oct 16, 2017 : BJP workers arrested by police for staging protest against Urban Development Minister R Roshan Baig for his "offensive remarks" against Prime Minister Narendra Modi near BJP Party office at PVS Circle on October 16, Monday. 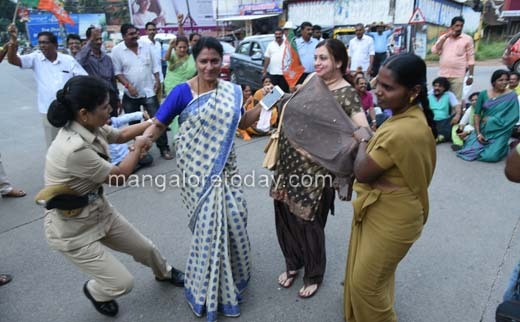 The protesters raised slogans against Baig and Congress party also sat for Dharna in the middle of the road. They alleged that being a people’s representative, Baig should not have passed "loose" remarks against the PM. 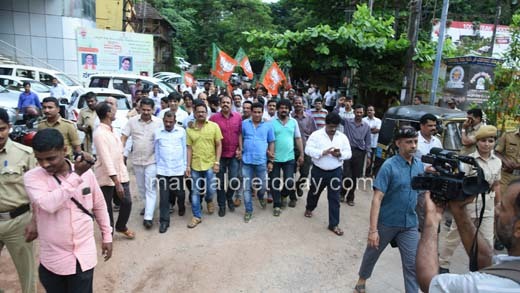 The agitators questioned the contribution of the Congress party to the state. 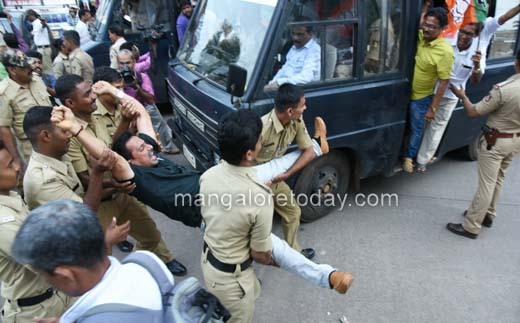 The protesters also demanded suitable action against the minister. 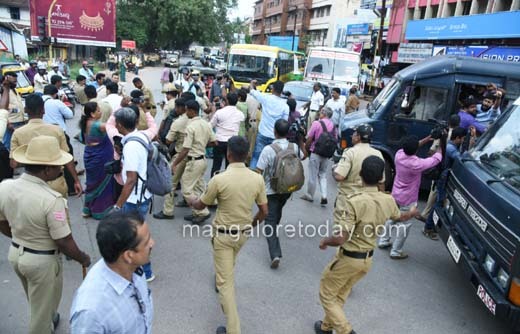 The traffic was disrupted in the region, due to this . 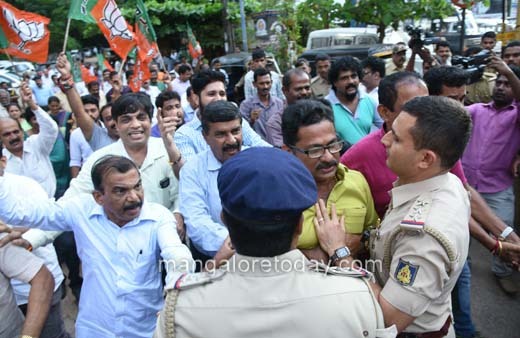 Police intervened, dispersed the crowd and detained the BJP workers. 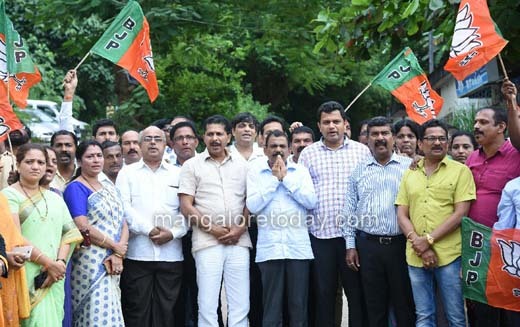 BJP district President Sanjeeva Matandoor, Roopa D Bangera, Monappa Bhandary, Yogish Bhat, Brijesh Chowta, Kishore Rai were the among the BJP workers detained.